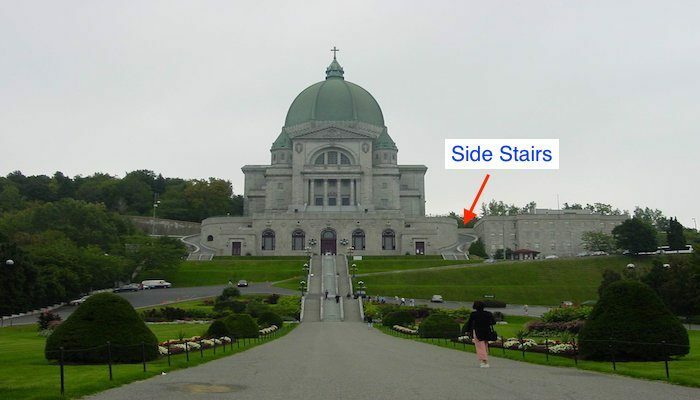 This is a challenging, yet rewarding tour of one of Montreal’s toniest residential areas, we well as the iconic St. Joseph’s Oratory. Starting at the Westmount location of one of Montreal’s best running stores, Running Room (Coin des Coureurs), you’ll quickly get a sense of the “Mount” part of Westmount, heading straight uphill toward The Boulevard. Then, head downhill, on Roslyn Ave., and onto Cedar Crescent. There are good sidewalks throughout. After a brief jaunt on Chemin Queen Mary, you will enter the Oratory grounds. This super-imposing shrine, built in the 1930s, is Canada’s largest church. Though perhaps not 100% appropriate, we’ll have you run up the steps (avoid the middle section where pilgrims mount on their knees) toward the dome. Total number of stairs is 270 if you want to go to the top. Make sure you end up on the side stairs (see picture), and then through the upper parking lot, to small road that turns left uphill at the Brother André statue. 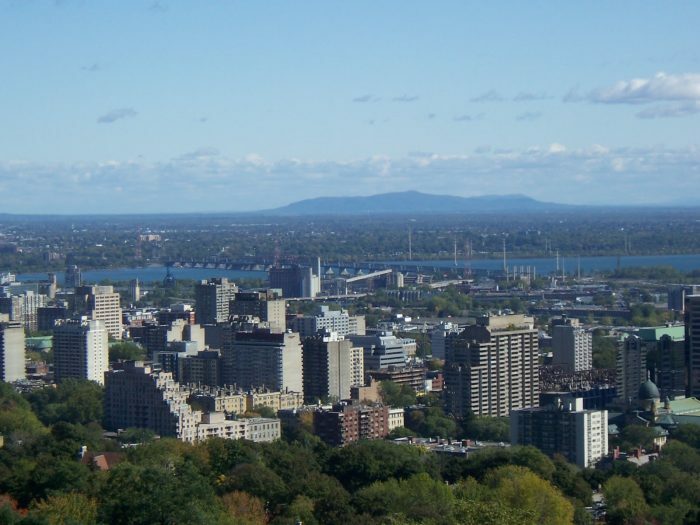 This will take you to the area of upper Westmount, where you’ll do a tour of the summit, which includes a lookout with a great view of the city. 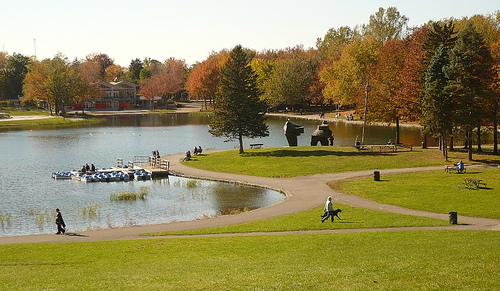 The final mile of the route heads straight down hill, passing Murray Park, about halfway down. Note you will be taking an Olmstedian ‘stair path’ off Summit Crescent, which provides an express route to the Boulevard. I will remember to bookmark your blog and will often come back later on. I want to encourage yourself to continue your great posts, have a nice morning!